What’s “Eating the Sun” about? People ask, occasionally, and so it seemed it would be nice to have something to point them at. “Eating the Sun: How plants power the planet” is a book about photosynthesis — about how it works, about how it came to be explained by science, about how it has shaped the planet and about the role it plays in the current carbon/climate crisis. Here’s a version of the copy that should be running on the cover flap of the UK hardback when it appears this summer. Photosynthesis is the most mundane of miracles. It surrounds us in our gardens, parks and countryside; even our cityscapes are shot through with trees and windowboxes. Wherever nature offers us greenery, the molecular machinery of photosynthesis is making oxygen, energy and living matter from the raw material of sunlight, water and carbon dioxide. We rarely give the green machinery that brings about this transformation much thought. Few of us understand its beautifully honed mechanisms, or the profound role that the carbon cycle it drives has played in the history of the earth. We are only dimly aware that it is the basis of our lives three times over: the ultimate source of all our food, of our every breath, and of the fossil fuels that drive our civilisation. Eating the Sun will foster and enrich that awareness. 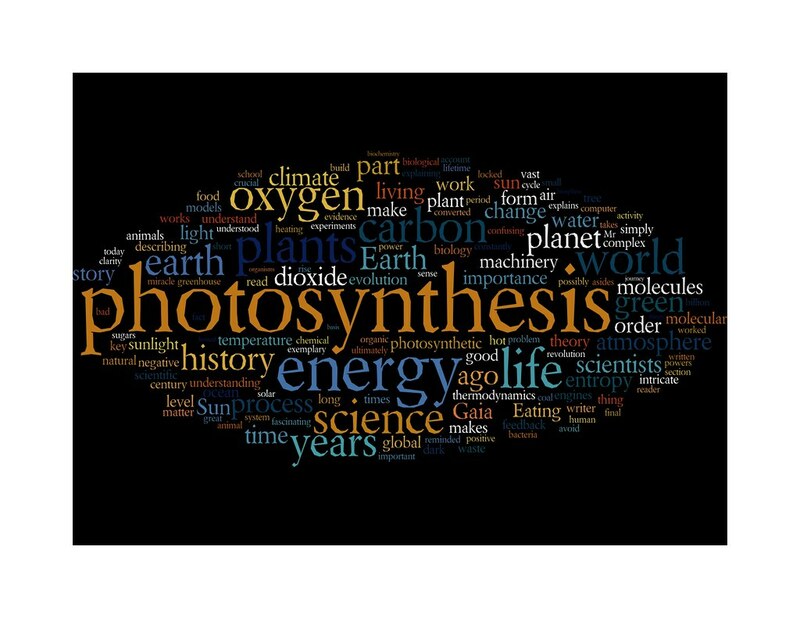 It connects the inspiring stories of the scientists who fathomed the depths of photosynthesis with the crucial role the molecular mechanisms they discovered have played in more than two billion years of evolution. And it brings those tales to bear on the most vital challenge of the coming century – managing the new carbon cycle, and the new climate, that have come into being since the industrial revolution released millions of years of stored sunlight into the modern world, and billions of tonnes of carbon dioxide into our atmosphere. Eating the Sun will change the way you see the world. There’s more about how I see the book elsewhere in the blog, for example in this post on the book’s relation to nature writing.